B: accredit .CN registrars to provide .CN domain name registration service. Registrars: Registrars shall process registration applications adhering to the principles of fairness and “first registration for first application”. The .CN domain name registration shall be in accordance with relevant laws and regulations and the Regulations. .CN registrars are subject to the accreditation by CNNIC. Agencies: Agencies are responsible for approaching domain name registration applications within the range of accreditation by registrars. Please consult registrars about registration, change, transfer, and renewal of .CN domain name. 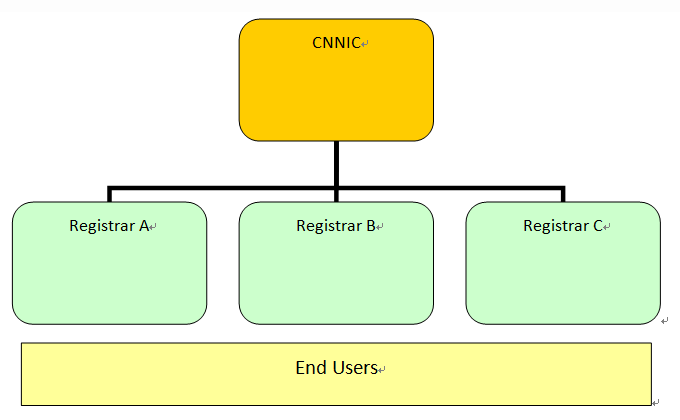 The information of domain name shall be subject to CNNIC database.